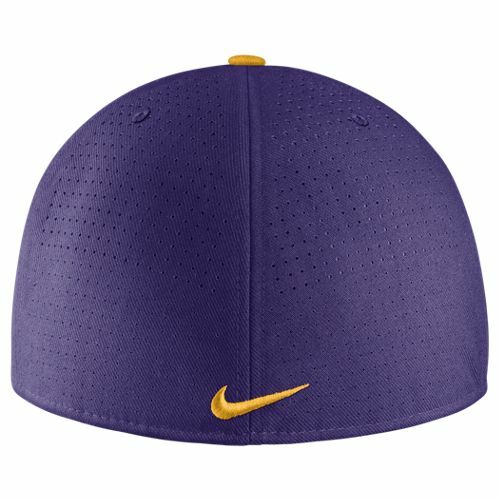 Nike True silhouette with high crown and flat bill. This true fitted cap is constructed in lightweight Dri-FIT material and with Nike Aerobill technology, which reduces weight and pressure against the forehead for comfort. The back panels feature a laser perforated detail to improve ventilation. 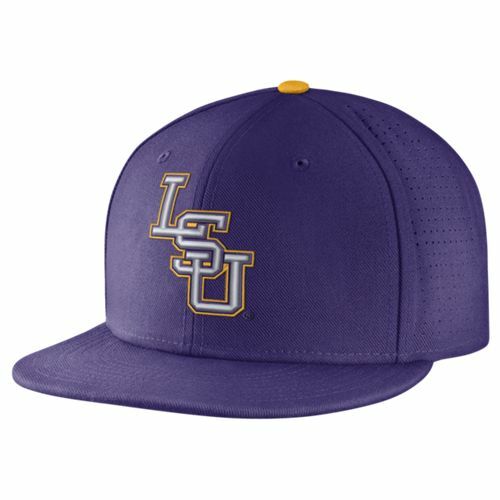 3D embroidery LSU logo on center front. High density embroidery Nike Swoosh at center back. This cap has a Dri-FIT terry sweatband.